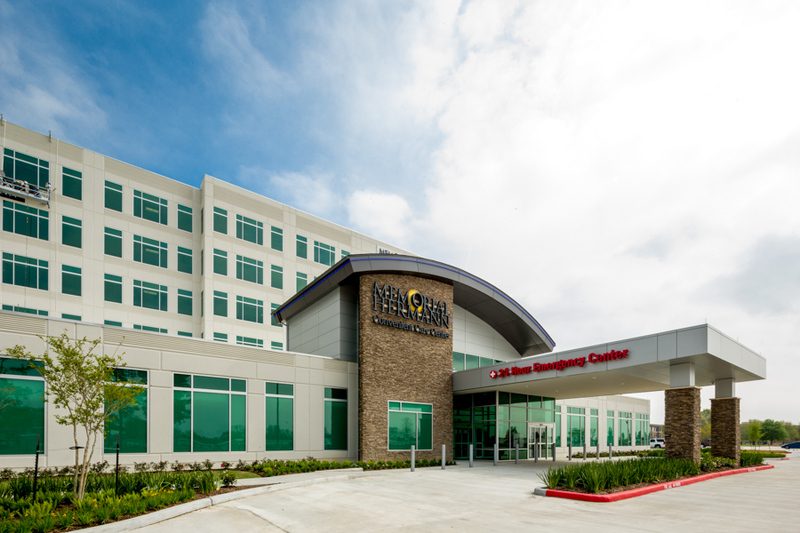 Memorial Hermann, founded in 1907, is the largest not-for-profit health system in Southeast Texas and is consistently ranked one of the nation’s Top 5 large health systems by Truven Health for patient safety and quality. 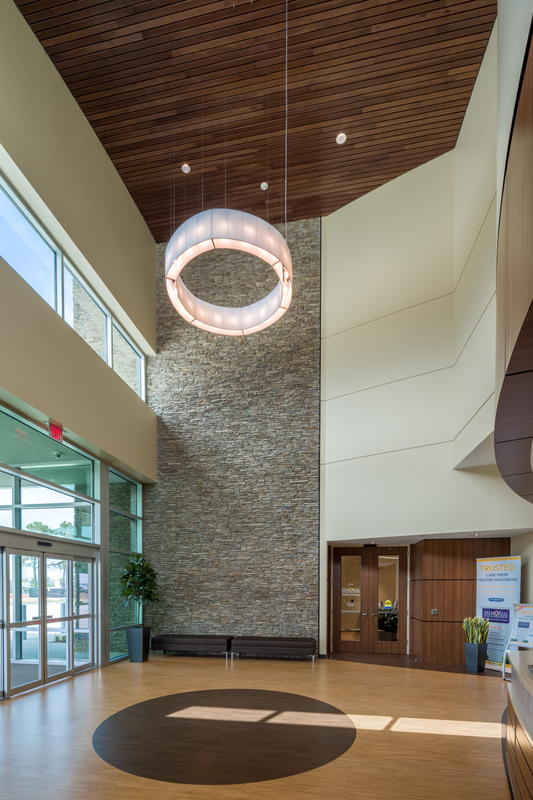 Memorial Herman Hospital System engaged Powers Brown Architecture to develop a Medical Office Building (MOB) that was designed utilizing our well-known Value Office product line. 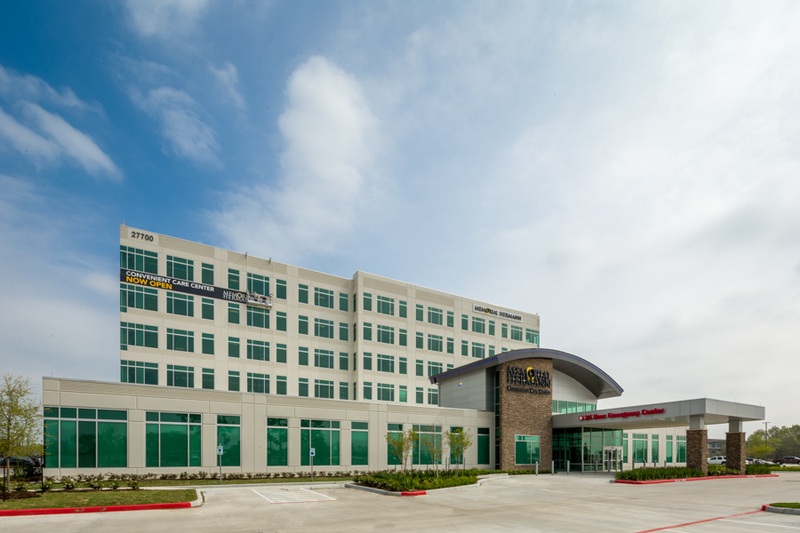 The goal was to create similar buildings to Memorial Hermann’s existing conventionally constructed MOB’s on their many campuses while reducing rent structure by competing with conventional market-based office pricing. 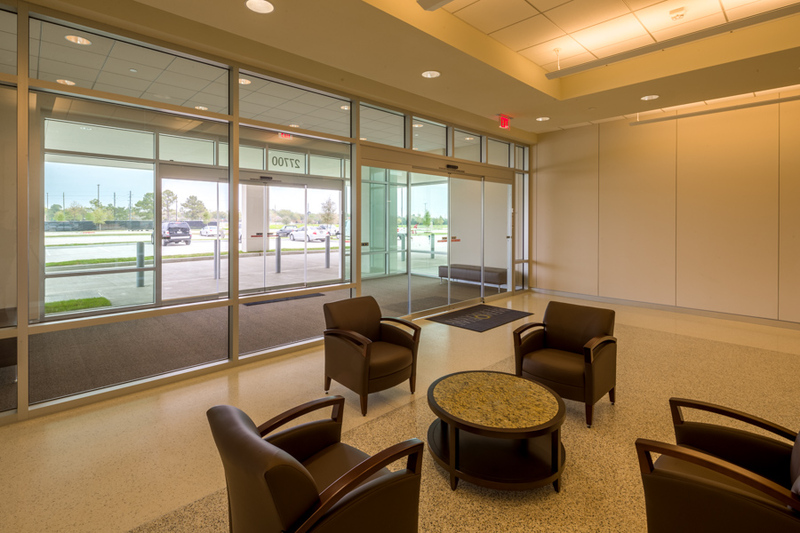 The building has column-free exterior walls which accommodate easier and more efficient planning, approximate 8% more exterior glass and upgraded interior lobby and core finishes. They are state-of-the-art in specifications and are approximately $12 per square foot less expensive than the conventionally constructed predecessors. 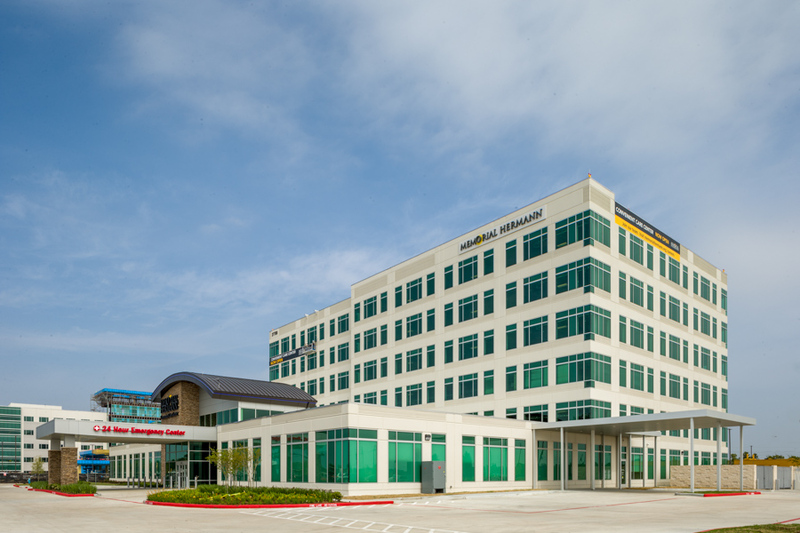 In fact, the product was so successful for Memorial Hermann in reducing costs that the initial plan for three buildings quickly evolved into five, and the facilities were constructed on their Katy, Sugar Land, Pearland, Cypress, and Humble campuses. The MOB at Cypress varied greatly from the original prototype. It was a five story tiltwall building which had an enlarged first floor, which was the double the floor area of the upper floors. The first level was designed to house a Critical Care Center, so the entry piece was modified per the Memorial Hermann standards. 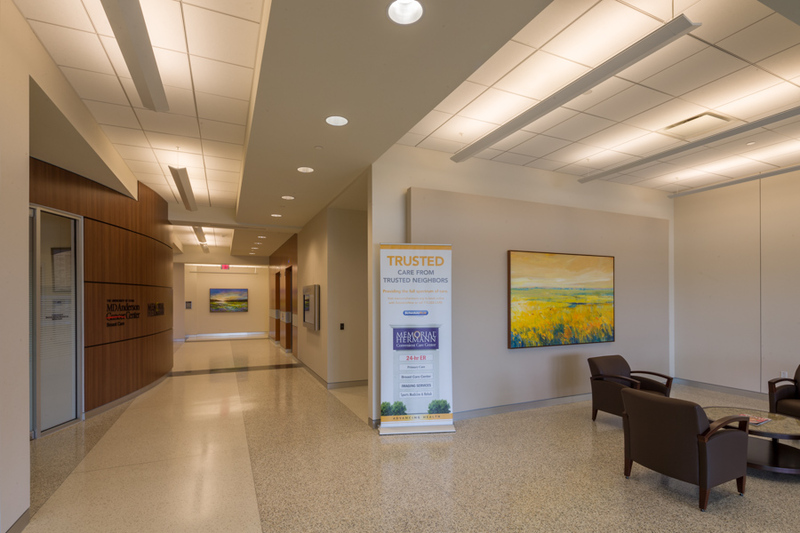 The Cypress campus is brand new, and this MOB was constructed at the same time as the on campus hospital, with current plans for three more MOBs in the future. 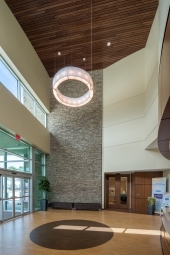 The project is LEED Silver Certified.